Give yourself the liberty to be creative and begin designing your own custom cushions. 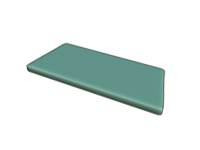 Our interactive ordering system makes it as easy as can be with highly accurate and true-to-scale diagrams combined with interactive design technology that allows you to see an example of what your cushion will look like when complete. If you're looking for something extraordinarily unique you can use our "Cushion Shape Designer" tool to create your own shapes right in your browser. 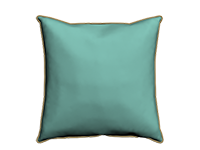 You can design high quality cushions in any shape you can imagine. To begin designing, select the type of cushion you would like to customize from the options below and follow the simple steps. 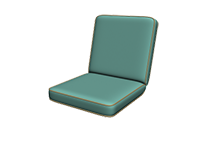 Create seat pads that will fit perfectly on your indoor or outdoor chairs. 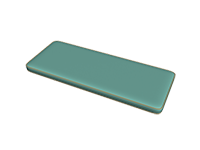 Design your bench cushions and window bay cushions with ease. One piece chair cushions with connected seat and back pads. 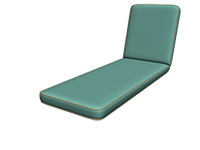 One piece chaise lounge cushions with connected seat and back pads. 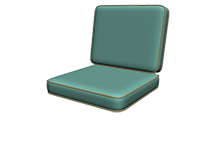 Two piece chair cushions and chaise lounge cushions with separate seat and back pads. 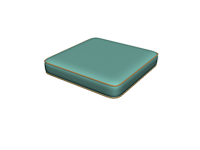 Ottoman cushions that match our one piece and deep seating chair cushions and chaise cushions. 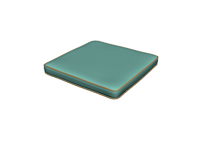 Create the perfect cushion to fit perfectly in your window bay. Color coordinate your furniture cushions with designer throw pillows and bolster pillows.